News Update: A 6.7 in magnitude and the 75th aftershock since the devastating March 11 quake had rocked northern Japan on Thursday, June 23. The tremor disrupted train service temporarily and led to the evacuation of around 8,000 families in the coastal cities of Kamaishi and Ofunato. A tsunami warning was released but was lifted less than an hour after the earthquake. The epicenter was about 530 kilometers north-northeast of Tokyo. No injuries have been reported. Aside from hundreds of aftershocks, Japan is still on high radiation alert due to its crippled Fukushima Daiichi nuclear power plant. Japan is one of the top 10 countries that utilize nuclear energy in the world among other countries such as France, the United States and the European Union. Like in most countries of nuclear energy users, nuclear accident is nothing new. They’re all aware of the risks and the likelihood of a nuclear disaster in exchange for a cheaper and more abundant energy source. The March 11 incident in Fukushima is not their first time to encounter problems with nuclear power. They had a similar accident in January 1989 when one of the reactor coolant pumps’ impeller blade broke due to mechanical error in the weld. The recent Fukushima accident also involved problems with the coolant pumps; this time it’s no longer human error but something worse than expected. 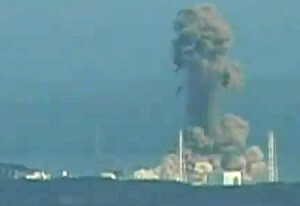 Right after the Tohuku earthquake, all four units in Fukushima’s power plant grounded to a halt. Cooling systems were then activated using diesel engines. Of all the units in the power plant, only unit 3 has all the cooling systems functioning properly. Others that don’t have a heat sink pretty soon overheated requiring for high pressure coolant injection using reactor steam. The procedure, however, proved ineffective as the cooling systems in units 1, 2, and 4 peaked to 100 degrees Celsius. Coolant systems had to be repaired in 3 affected units after which cooling can proceed. The Japanese authorities then issued a level 3 on the International Nuclear Event Scale due to serious implications of losing cooling water for the 3 reactors. This means going through extreme measures to avoid an imminent fallout and exposure to radiation. The stoppage of cooling systems caused heat and pressure to be accumulated in the plant. To alleviate the possible effects of overheating, Japanese officials made the necessary measures to release the pressure from the 3 units. Consequently, people living within the 10 kilometers radius must be evacuated. Initial attempts to release the pressure did not work out as planned. At least fifteen people have been exposed to radiation after a powerful blast near the facility. Four others were injured and one dead. After successfully releasing steam pressure, radiation levels finally decreased. Defense forces are still coping with the damages caused by the disaster. Repairs alone would take billions of euro and will definitely affect the country’s economy. News about the disaster caused many countries all over the world to pour their sympathy and extend their help to the people of Japan. Among the 70 countries that rushed to their aid include USA, Germany, Switzerland, Hungary, China, Australia, New Zealand, Philippines, Singapore, and South Korea. Alaska Antarctica Asia aurora borealis Bangkok Beijing Brazil Brisbane flood Canada China Christchurch tremor climate-change europe glacier glacier melt global warming heat heat wave Honshu hottest-season icy winter Japan earthquake Japanese-culture LaNina largest earthquake London Nelson Mandela New Year's Eve New York Olympics 2012 Philippines positive thinking Queensland flood Ring of Fire Russia Singapore solar flare solar storm South Africa stress management stress relief Sydney Sydney Harbour Bridge tornado Worst winter storm in U.S. Copyright © Journal Week 2010-2016. All Rights Reserved.